I hope that everyone in the Biblical archaeology community enjoyed the holidays and is having a wonderful start to the new year. I wanted to take the time to look back at some of the biggest Biblical archaeology news stories, events and discoveries of 2012. 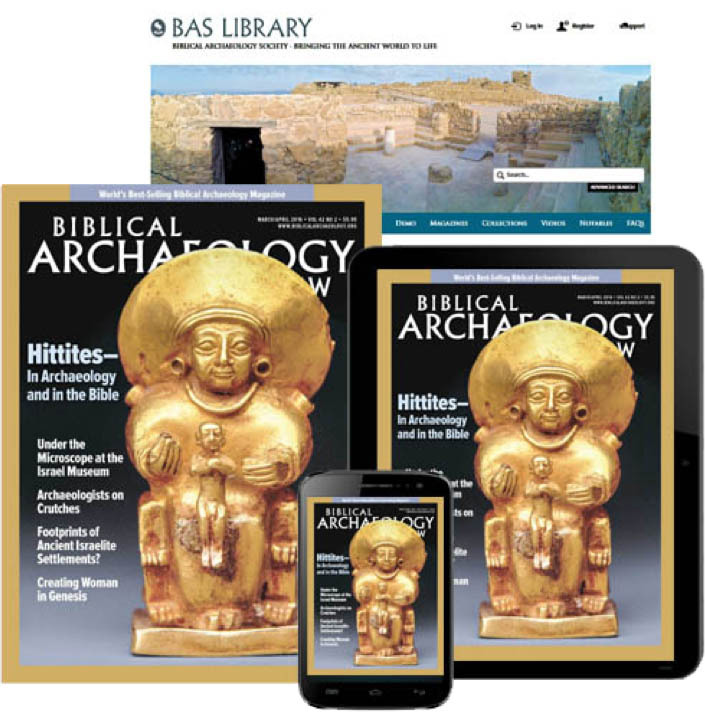 I’ve put together links to 20 stand-out Biblical archaeology moments in 2012, and I would love to hear which discoveries intrigued you most, and what you’d like to hear more about in 2013. So please, share your ideas in the comments section below! Archaeologists Discover “New” Ancient Language from the Eighth-Century B.C.E. The Gospel of Jesus’ Wife Controversy: See A “Gospel of Jesus’ Wife” on a Coptic Papyrus and Is the Harvard Theological Review a Coward or Did Dr. Karen King Do Something Wrong? Looking back, 2012 was a fascinating year for our field, and I’m very happy to have shared it with the BAS community! As a BAS editor, I was most struck by these stories in particular, but there were many other great discoveries over the past year. I’d like to share a few more reflections on 2012. Todd Bolen, a Biblical archaeologist and photographer who writes for the wonderful BiblePlaces blog, also shared his top stories from 2012 on the BiblePlaces site. Archaeological scholar, architect and artist Leen Ritmeyer looks back at 2012 to assess the First Temple period water cistern and Matanyahu seal as his two stand-out discoveries of the year. We at BAS would love to hear which discoveries in 2012 were the most interesting to our readers, and what you are looking forward to in 2013. Share your comments below! Update: Check out the top archaeological discoveries in 2013, 2014 and 2015. I love this site and find it a great resource for research. This was a great article. Thanks for clarifying Noah. But since you made an error about the year, maybe this year you can have the top 21 stories. Simcha’s blog is pretty good too (www.simchajtv.com), especially his recent exchanges with Prof. Amos Kloner. Two weeks ago Kloner delivered a paper on the Talpiot tomb which was explored by the robotic camera. In the paper, Kloner tried to minimize the discovery. For his part, Simcha raised some very important issues which are also echoed by Prof. Tabor, namely, why did Kloner misreport the location of the tomb, the number of ossuaries in it, the number of inscriptions in it, and the number of people buried there? The story is getting more and more interesting. I think you’ll have lots of opportunities to add this discovery to your top discoveries in the coming years. Thank you Michael, Bud and Nicole for your commentary, these are important stories from 2012. Nicole–I’m glad you brought this up, I just spoke with Professor Tabor about the robotic camera discoveries and their significance to the field. The lack of mention here is unrelated to the discovery’s importance or controversy; it was a personal chronological error, and I was mixed up and erroneously believed that the 2012 publication referred only to 2011 (and earlier) discoveries, while I wanted this list to highlight 2012 events rather than discussions that took place during the year. And of course, James Tabor’s own Taborblog has the most extensive discussions on the Talpiot tomb discoveries. I don’t get it. The Jesus Wife papyrus is controversial but you still mention it. Meanwhile, Prof. Rami Arav, Prof. James Tabor and adjunct Prof. Simcha Jacobovici built a robotic arm and performed the first ever exploration of a Jesus era Jerusalem tomb with the cooperation of ultra-orthodox haredim, and you don’t mention this? They pushed the envelope of Jerusalem based archaeology by using unprecedented technology, and you don’t mention it? Not even a #20 position? They then find the first ever statement of faith on an ossuary, and you don’t mention it? Finally, they find an image that some call an amphora, but Arav, Tabor, Jacobovici, Prof. James Charlesworth, Dr. Yuval Baruch, Prof. Rachel Hachlili, Robert Deutsch and many others call a great fish, which would make it both unique and possibly linked to the first followers of Jesus, and this doesn’t even merit a mention? Hershel, where’s the fight in you? City of David archaeologists found a Proto Aeolic capital fragment in mid-December. Perhaps too late to make the top 20 list. Finding artifacts, coins or ancient writings etc. usually attracts attention and interest but those are solid objects that can be physically viewed and examined. In contrast the research of ancient numbers and arithmetic receives scant attention and as Stephen Hawkins outlined that every time he mentioned a formula he switched off a big percentage of his listeners. The same position pertains to the numbers in scripture. They have been ignored as meaningless yet they were of such importance to the biblical scribes that they re-edited the Torah and inserted hosts of those numbers. Therefore, those numbers were as important as the words in scripture. The purpose of some of the numbers can be readily explained. For instance, there were many building projects in scripture such as with the tabernacle and Solomon’s temple and artists and engineers today are able to draw up plans of these buildings from the technical details that were given in scripture. In this way the scribes had utilized logic as a medium to enhance many of the biblical stories in much the same way as we use graphics or photos to expand or explain the finer details of particular subjects. But the scribes also extended such technical details to the timing of events. This is how the extra information impacts on scripture. The prophets referred to a mystical place that became known as heaven. To believers the prophets were divinely inspired and heaven was real. But to skeptics there was no scientific evidence to show that these visions were no more than figments of fertile imaginations. What was overlooked however was where the biblical scribes also used the medium of time to leave specific details that would enhance their visionary descriptions. From those timing details it was possible to draw up a series of images that helped to explain what the prophets were trying to convey to us about their visions. This is a higher form of intelligence than the written words of scripture. I have pasted some of these findings and the images onto a website for readers study. The contents may appear challenging to assimilate but it is well worth the effort in order to get an appreciation of the superior intellect of those biblical authors. Perhaps some of the readers will put the findings to a series of litmus tests and post their comments on Bible History Daily.